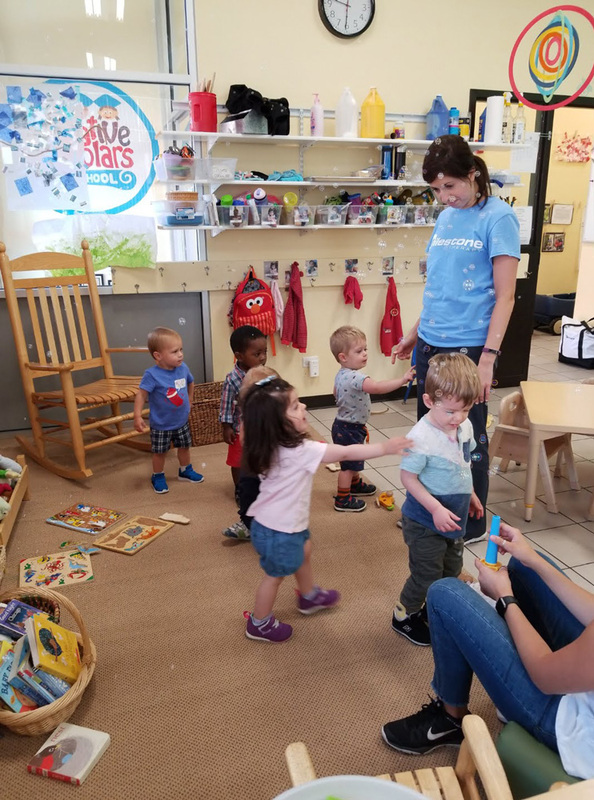 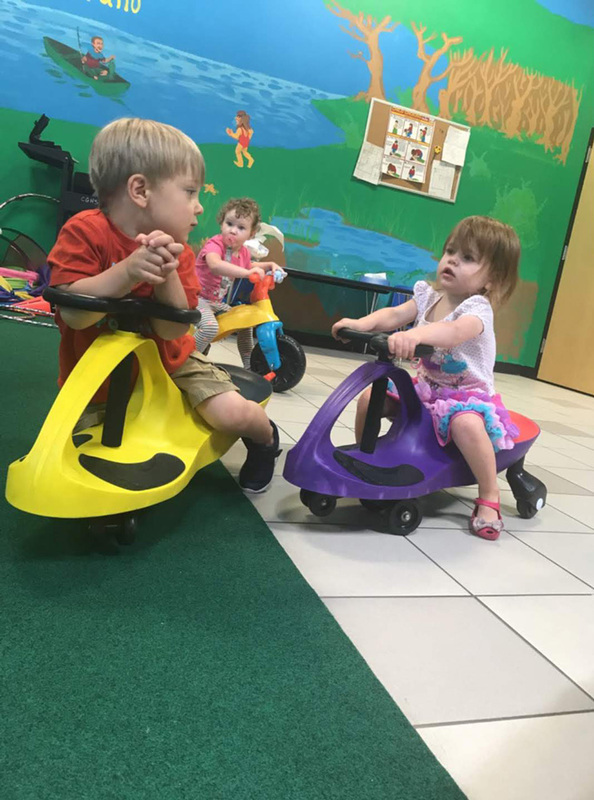 The Toddler Class is for children age 15 months to 2+ years and is designed to be a welcoming and joyful introduction to a child’s preschool experience. 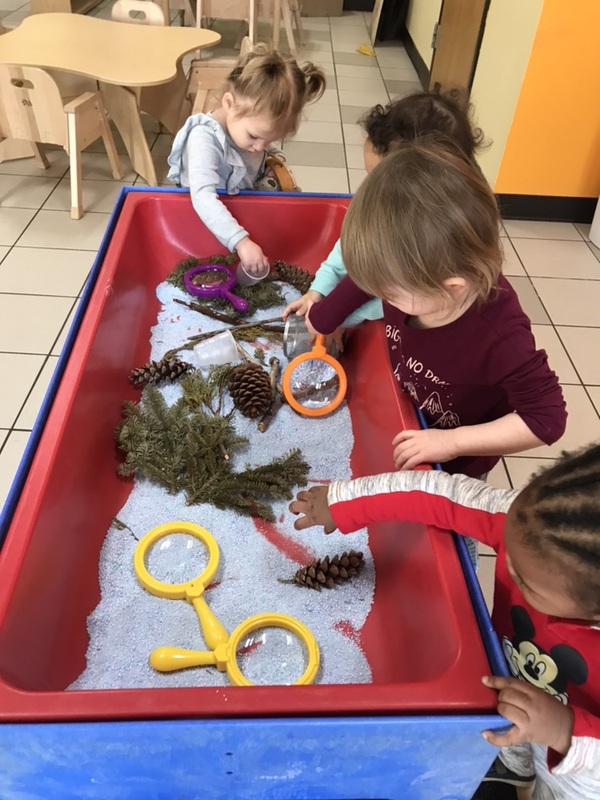 The class focuses on developing our youngest learners’ sense of curiosity as they explore their desire to investigate the world. Each day, children have the opportunity to engage in playful and hands-on experiences that support a child’s sense of wonder as they engage in sensory and art experiences, listen to stories, sing and dance, and explore the classroom environment. Through these daily experiences, the children build their fine motor skills, their cognition, and their self-concept. Every day, the children also visit our large, indoor playground where they are invited to climb, run, slide, swing, and build the gross motor skills that are central to their larger development. 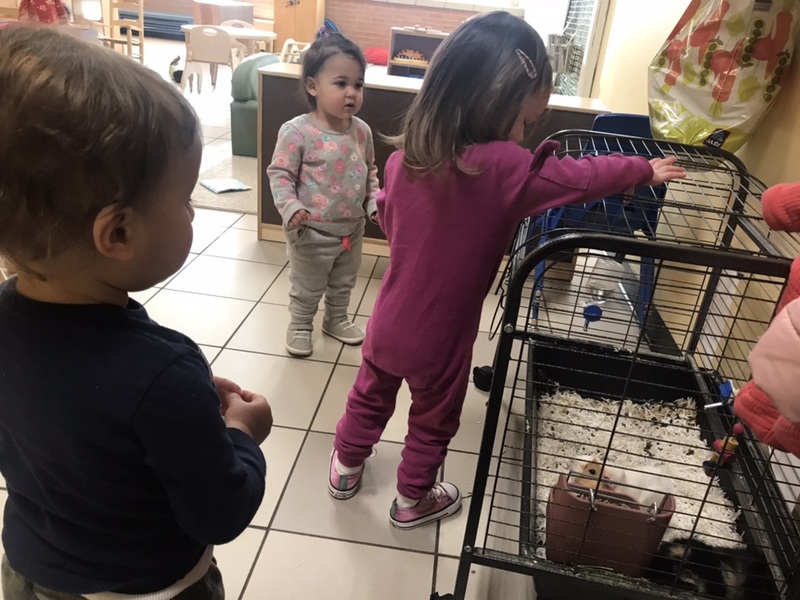 We understand the importance of helping toddlers develop a feeling of security as they transition away from their homes and into their first group setting. The teaching staff focuses on supporting families and children through a gentle and individualized separation process. 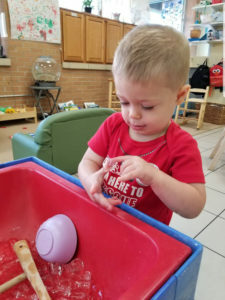 When you enroll, the teachers will reach out to you and discuss your child’s experiences being away from home, your feelings on your child attending preschool, how you anticipate your child will cope with being away from home, and will work with you in designing a visit and transition schedule that fits your family’s goals. 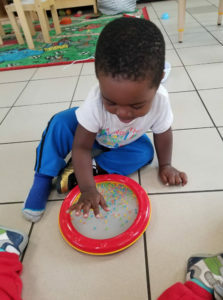 The toddler program at Creative Scholars is designed to support the growth of the whole child; teaching staff supports this age group’s growing desire for independence and their growing capacity for understanding and interacting with others that will help them become caring, inquisitive, and confident individuals. 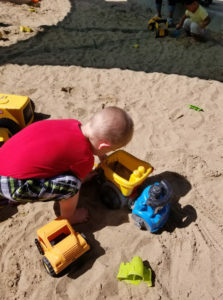 The classroom and the play space are designed to create opportunities for the toddlers to explore the concept of cause and effect and to build connections. The concept of cause and effect provides the curious toddler the foundation to begin understanding that they have an effect on the world, which helps build their confidence. 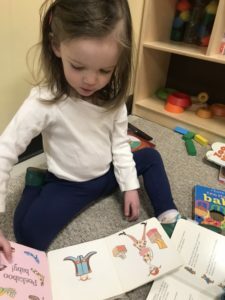 The book area in the Toddler classroom is one of the spaces most visited by our toddlers. Here, the children gather alone, with friends, and with teachers as they fall in love with reading and books. The children choose book after book to be read to them; as the year progresses you will see the children looking at books alone or with their friends as they point to pictures and recite familiar text from their favorite stories. 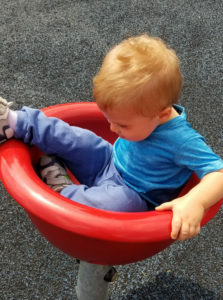 This area also allows the children a quite space to explore puzzles and soft toys. 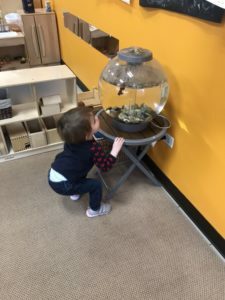 The Toddler classroom is designed to change with the interests and needs of the children. Toddler development is rapid and varied and is a time of huge language growth. 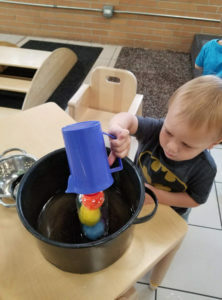 Through the exploration of real, authentic, and interesting objects, the children are able to learn about the world with all of their senses as their teachers provide rich language descriptions of what they are experiencing to support their development. Our Toddler classroom provides opportunities to explore a variety of rich toys to spark young imaginations. 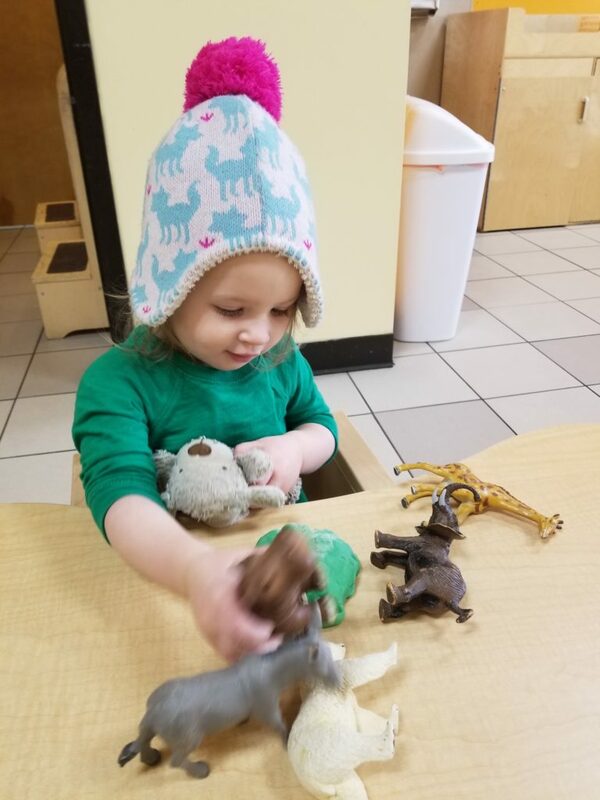 Our diverse selection is carefully curated to provide open-ended play options, as well highly detailed and elaborate toys. 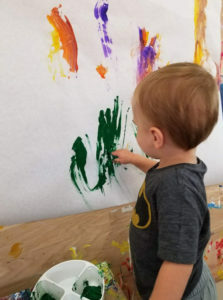 This offers children their choice in tools to develop their creative worlds. 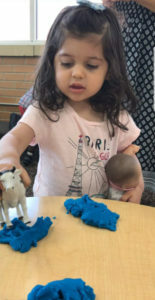 The dramatic play toys in the classroom are designed to support the children’s imaginations and understanding of playing roles in the real world. 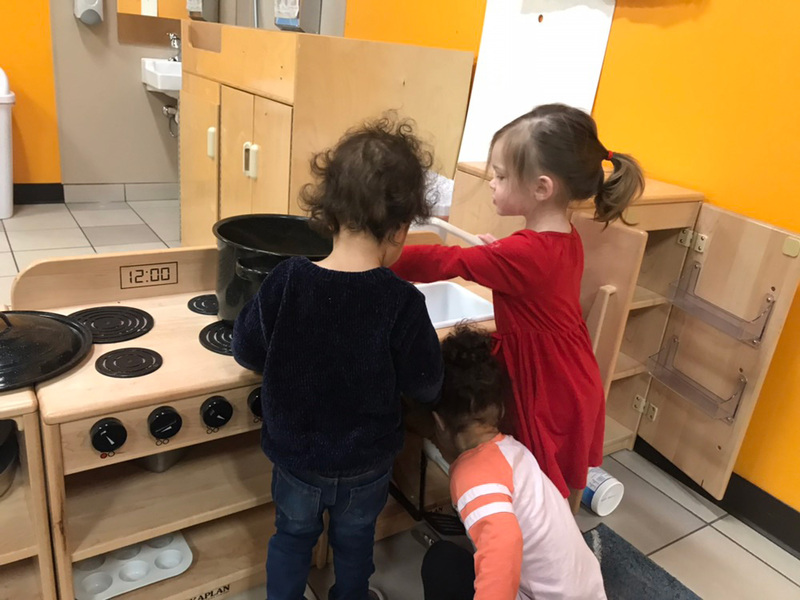 It provides important opportunities to practice their social interactions as they work together to collaborate on imagined projects and masterpieces.